Granville Stanley Hall was a pioneering American psychologist and educator. His interests focused on childhood development and evolutionary theory. 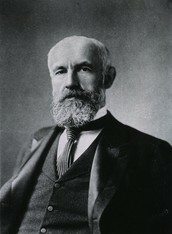 Stanley Hall revered leader of the Child Study Movement and a controversial figure in the landscape of early child psychology. Stanley shared many beliefs with Sigmund Freud about adolescence. He was particularly interested in sexual development and inheritance of behavior. The three key aspects of his theory towards adolescence are risky behavior, mood disruptions, and conflict with parents. Adolescence: onset of puberty as a young child develops to an adult. Hall was elected as the first president of the American Psychological Association. It would be important to study teenagers now a days because a lot of teens are not quite on track.